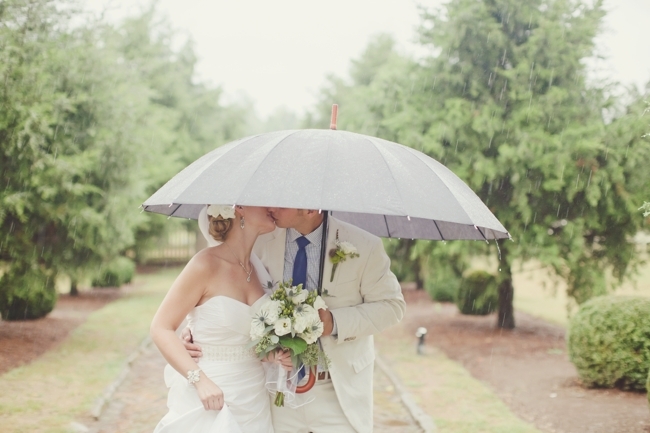 The weather is always a major concern for the bride on her wedding day. And unfortunately it’s a concern you can’t control. However, you can adjust and respond accordingly. That’s exactly what we did for Katie and Corey’s outdoor wedding this past September on Labor Day at Carnton Plantation. Katie and I had worked for months and months to design her perfect wedding and needless to say, she was disappointed when the weather didn’t cooperate with our plans. We made some last minute adjustments and Katie + Corey’s wedding turned out to be very sweet and beautiful. I was honored to be a part of their special day and it just goes to show, that you CAN have a gorgeous wedding in the rain!